Turning a dummy's point-and-shoot camera into a more advanced shooter with manual controls is a challenging design problem. Camera's like Canon's S90 nailed it a while ago. But is there a different way to get it right? Maybe! The Fujifilm XF1 certainly tries, with entirely new solution in a handsome package. It's cool. But it's also totally wrong. 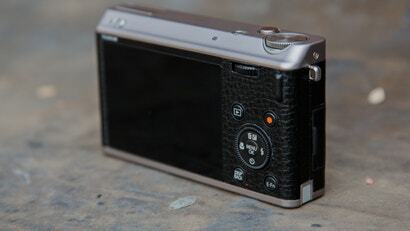 A retro-styled pocket camera in the same vein as the new Canon S110 and Panasonic LX7. Its 2/3-inch sensor is 34 per cent larger than the biggest chip on any other camera in this price rage. That, theoretically, should improve image quality. 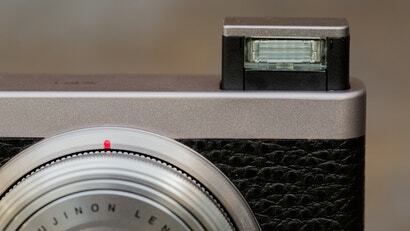 A retro-styled point-and-shoot camera for serious photographers. Or, at least, photographers who think they're serious. At arm's length, she's perfect: An aluminium body in a leather coat. Standard PSAM mode dial on top and a pop-up flash hidden behind a spring-loaded switch. The collapsible 4x manual zoom lens extends manually with a twist-and-pull, then tucks away neatly into the body to turn off the camera. Manually extending the lens to turn on the camera seems nifty at first, but it very quickly turns into a pain in arse. It takes longer than simply pushing the power button. It adds no functionality. If you need to do it quickly and frequently, you'll want to throw the camera out the window. Very satisfying to hold, look at and show your friends. The camera's unique lens makes taking photos awkward and irritating. The camera's tiny fn button on the top panel is located exactly where you'd expect a power button to go on other cameras. When I was in a hurry, so many times, oh, how I wanted it to be the power button. But alas. You're stuck twisting, turning and pulling forever. Carried the camera around for a couple of weeks in my coat pocket. It's not as tiny some other point-and-shoots, but it's absolutely portable. The manual zoom lens, beyond being a hassle, undermines the camera's more advanced features. Zooming is a very small part of taking a picture. It would be much more useful to have a control ring similar to the one on the S110 or LX5 — that allows true two-handed operation of manual controls. the camera's image quality, we didn't find it to be anything special, which is disappointing given the camera's (relatively) large point-and-shoot sensor. Part of this is due to the camera' less than perfect autofocus and metering that didn't always hit the spot exactly where we wanted it to. On Fuji's more expensive cameras these shortcomings are understandable, but they're way harder to justify on a camera meant for amateurs. This is form over function. You may want a product that looks good and uses an odd mechanical trick to turn on and off. It certainly can take good pictures. But if you need to shoot a lot of photos quickly, and you want to take the most advantage of a little camera's capability, then this isn't the one for you. 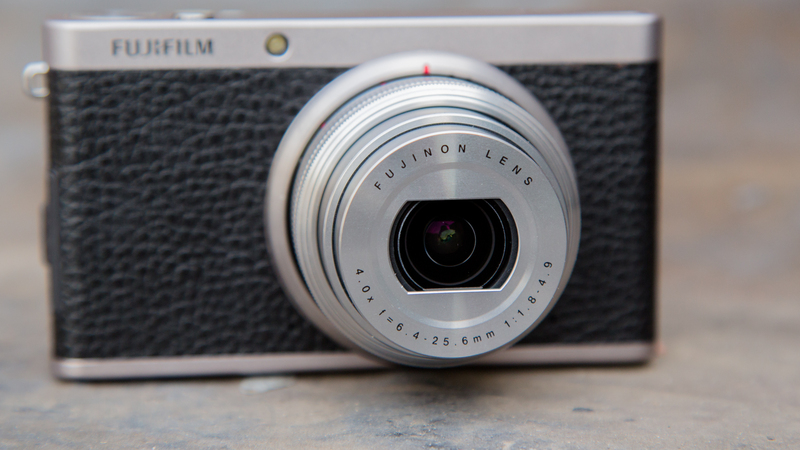 For roughly the same price, the product for you is either the S110 or the LX7.